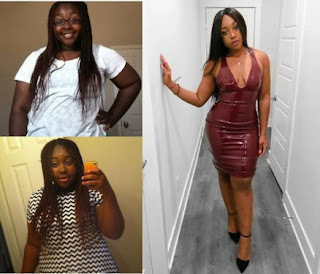 Breaking News: See Photos Of The Lady That Broke In The With Her Amazing Weigth Loss Tranformation! See Photos Of The Lady That Broke In The With Her Amazing Weigth Loss Tranformation! Checkout the before and after weight loss photos of this lady that people are talking about on the internet after she took to her social media page to share the photos of her amazing weight loss journey online.